A Facebook Business page is a great opportunity for small businesses, Enterprises to increase brand awareness and generate sales on Facebook. Facebook provides lots of custom options to manage your business page as per your business niches like page templates, custom tabs, run contests, and promotions, and manage a small e-commerce shop. As per the recent stats shared by Facebook, 78% of consumers using Facebook to find new products & services, from businesses like yours. But what if you’re not getting customers from Facebook? Not to worry. In this post, I’ll show you 5 vital points to get the most from your Facebook page, by optimizing your Facebook page. So, let’s dive into those essential tips. A lot of big brands or businesses take their Facebook Business profile (About page) seriously and always utilized the latest feature added by Facebook. Some companies put outdated information about their company, and some leave it empty. 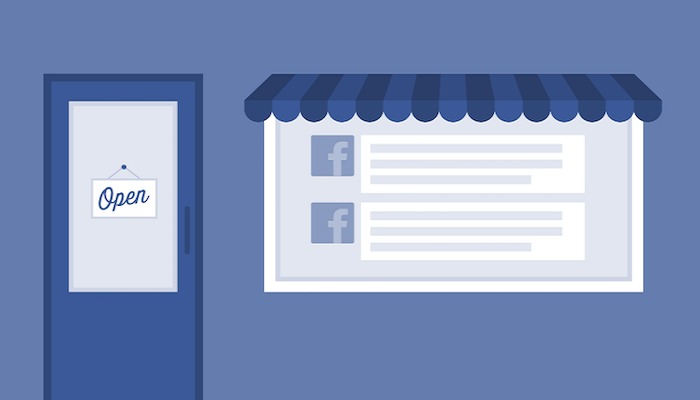 Don’t make this mistake with your Facebook business page. 1- Tell people about your company’s achievements, awards or any other latest information. 2- Display your latest products and services. 3- Share your seasonal promotions or discounts to increase the sales number. When you create your Facebook page for the first time, Facebook provides a long URL something like this: https://www.facebook.com/pages/yourbusiness/1234567890. But now Facebook provides a feature to create the custom Facebook URL of your page like this: https://www.facebook.com/pages/yourbusiness. For access to this feature, you need to create the username on your Facebook About page. Once you create the username, your URL will change automatically with the same username which you have updated. Sometimes the username which you created is not available on Facebook (Already used), in that case, try to create a username that closes to your brand’s name. Your Facebook Business Page acts like a mini website for your brand on Facebook, just like your website, easy navigation around your page can help your customers to find the information they actually want. Facebook provides a few pre-made templates that you can use to optimize your Facebook Business Page as per business field. When it comes to optimizing the template, Facebook not provides a lot of options except with buttons and tab layouts. This feature (CTA Button) plays an important role when it comes to optimizing your Facebook Business page. You can customize your CTA button for a variety of actions that suits your business need. These are the CTA buttons Facebook provides – Contact Us, Book Now, Send Message, Call Now, Use App, Shop Now, Sign Up, Watch Video, Play Game, Send Email, Learn More, and Request Appointment. Try to choose the CTA that fits the action or landing page of your website on which your customers lands after clicking it. For each CTA, you’ll need to add a relevant landing page. You can optimize your Facebook page by creating custom Tabs in which you can mention any content related to your Business. You can find Tab list on the side of the Facebook page. Facebook offers several pre-defined tabs in each of their templates like Home, Posts, Photos, Groups, Videos, etc. for customers to find the accurate content quickly. Apart from these, you can add more, prioritize, or edit them. You can also create custom tabs with the help of a developer or integrate with an app like MailChimp to add a custom feature to optimize your page to the fullest.